I'm always looking for an outfit that I can wear to work and then wear out to drinks later. 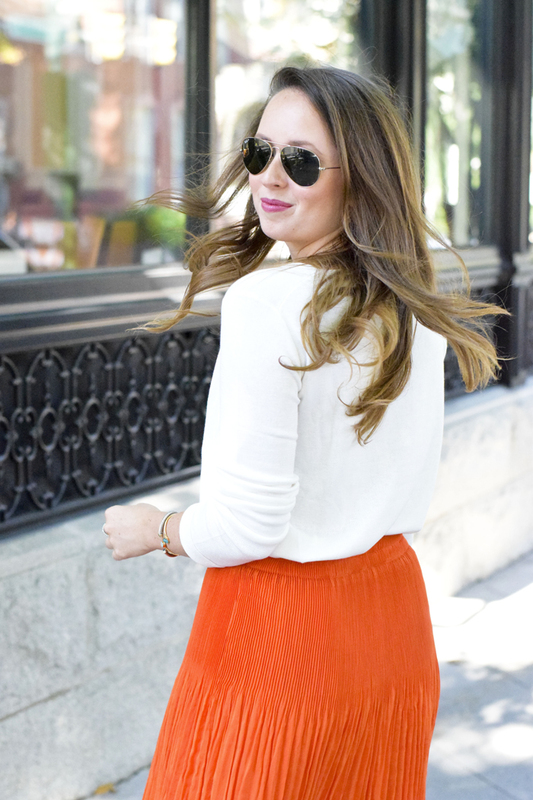 When I saw this skirt I was instantly hooked (mainly because it's orange and I rarely find orange that I love)! Paired with a thin white sweater that I can tuck in and my knee high boots, you've got a look that's professional for the office and stylish enough for happy hour. I love these boots to pieces! The chunky heel gives you height but not too much where your feet kill you after an hour of wearing it. I love that it hits me right below the knee - nice and tall to elongate your legs. 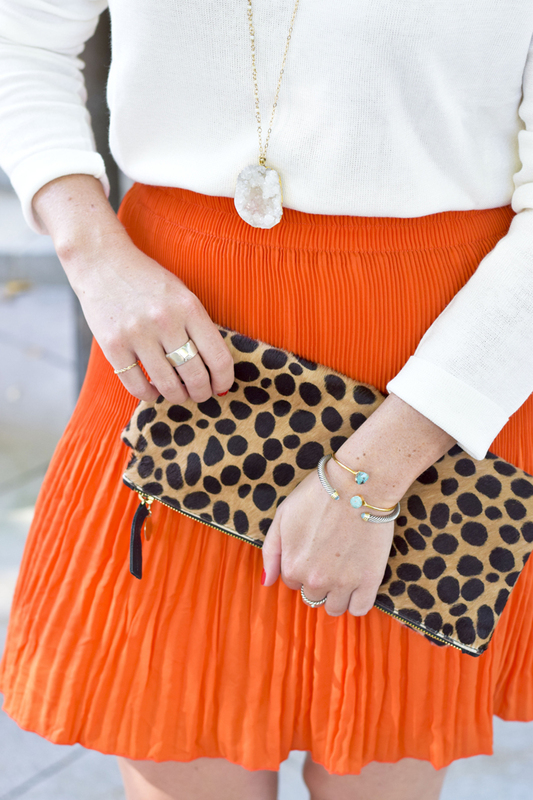 The necklace and bracelet I'm wearing are both by the Starfish Project. This company helps exploited women experience freedom, establish independence, and develop careers. The work they're doing is so incredible! You can read more about it here - and shop more of their jewelry here!